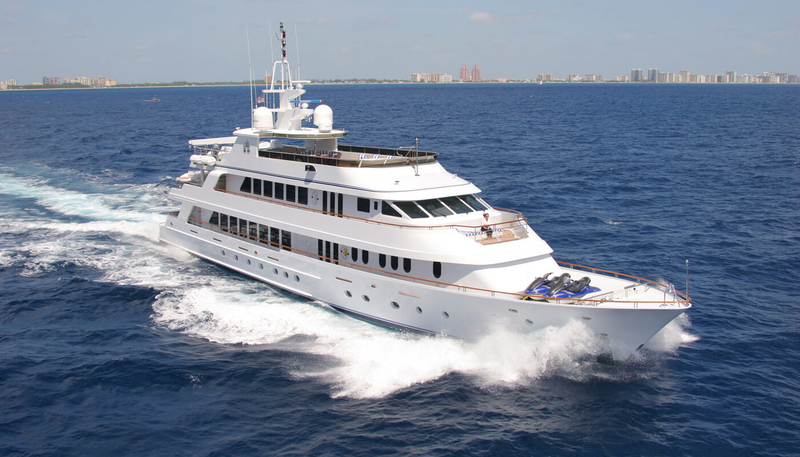 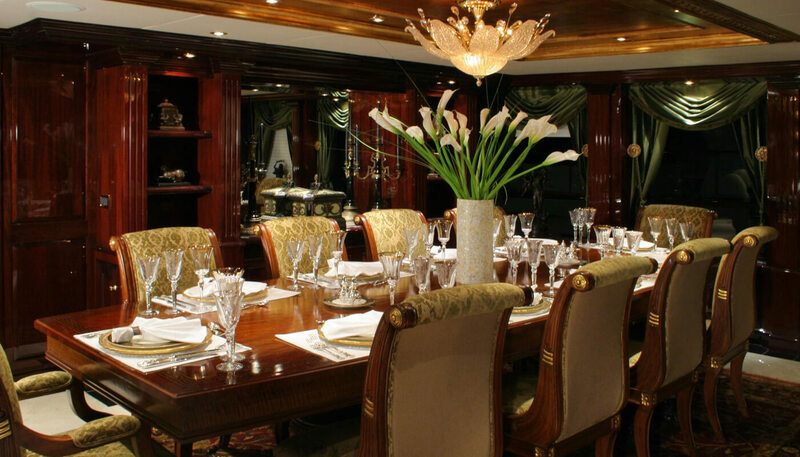 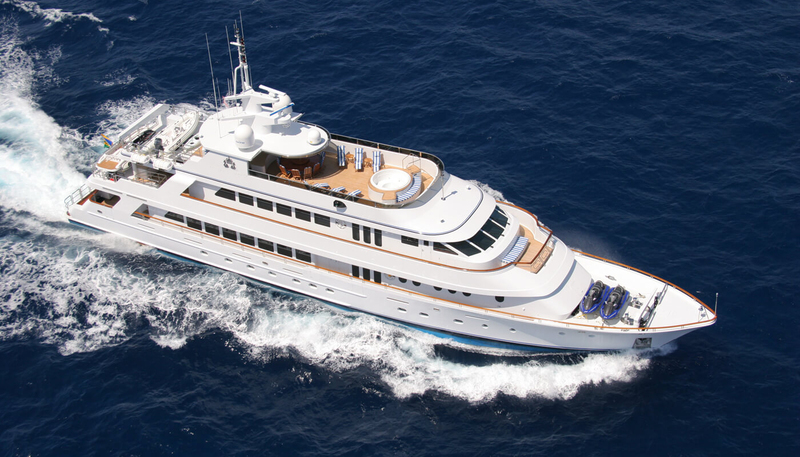 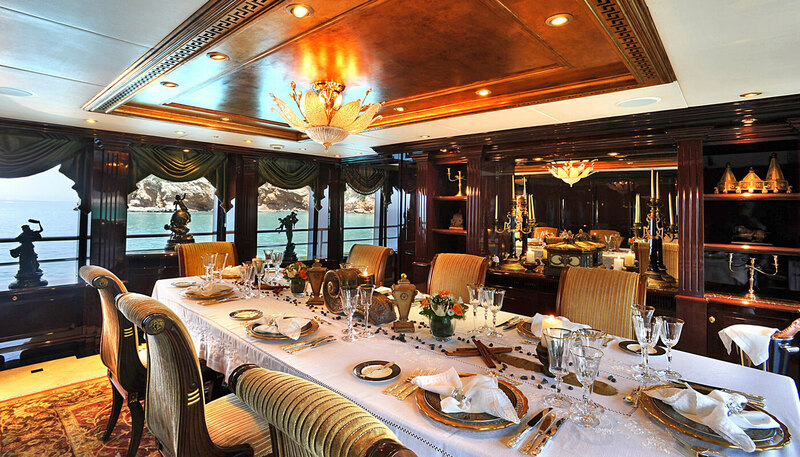 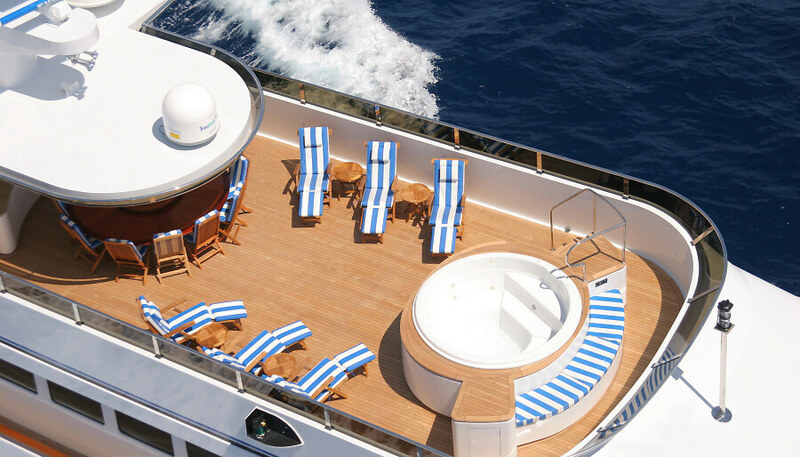 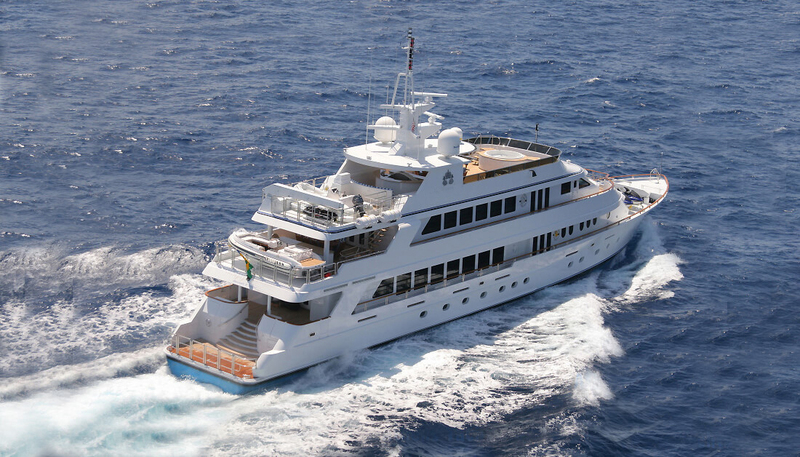 Twelve guests are luxuriously accommodated in 6 elegant cabins, two of which are equal masters. 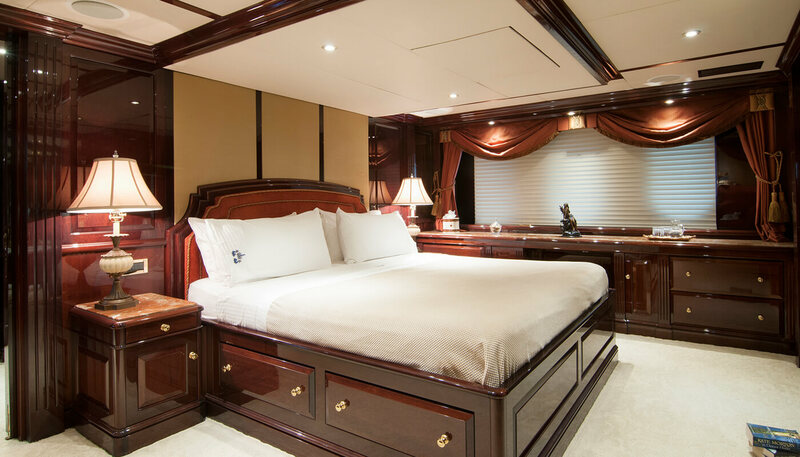 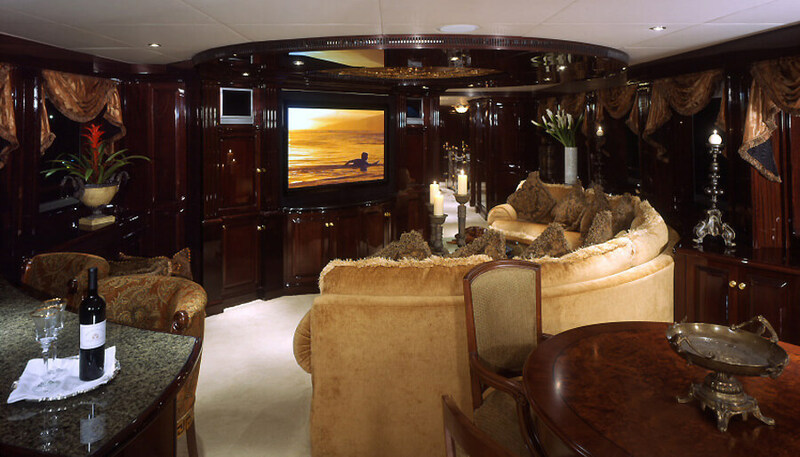 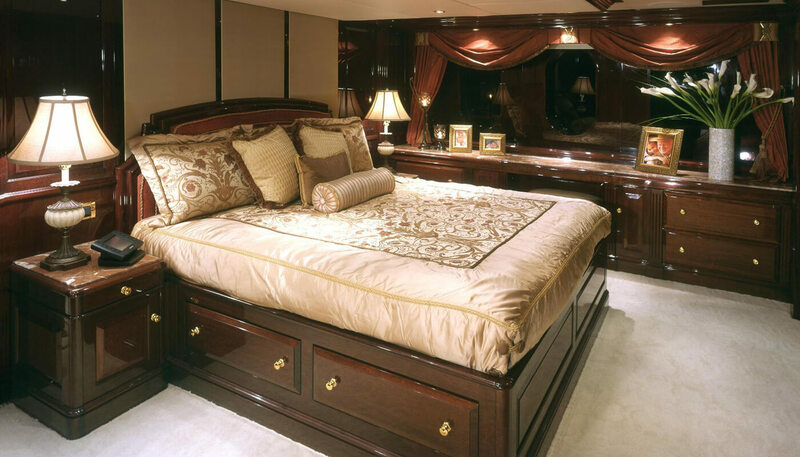 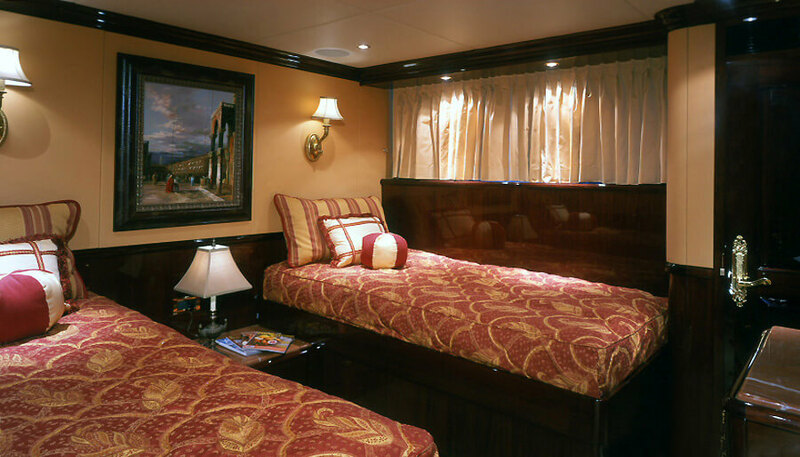 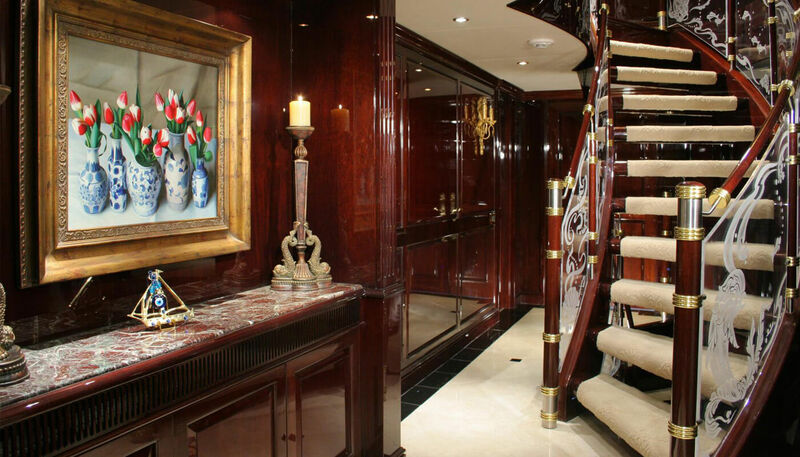 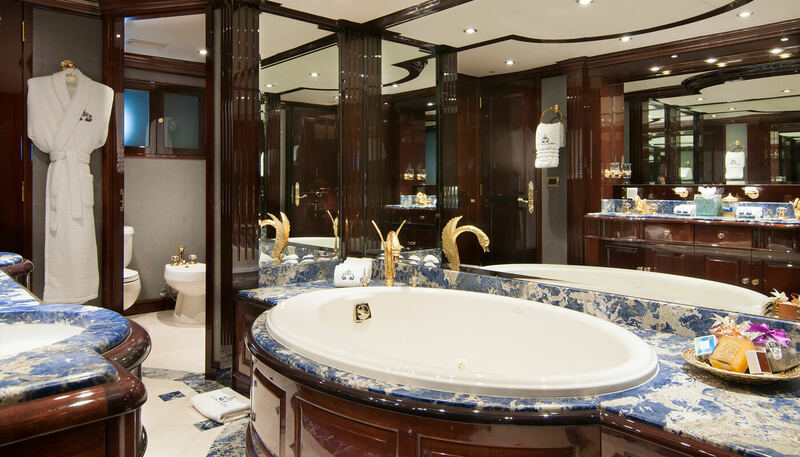 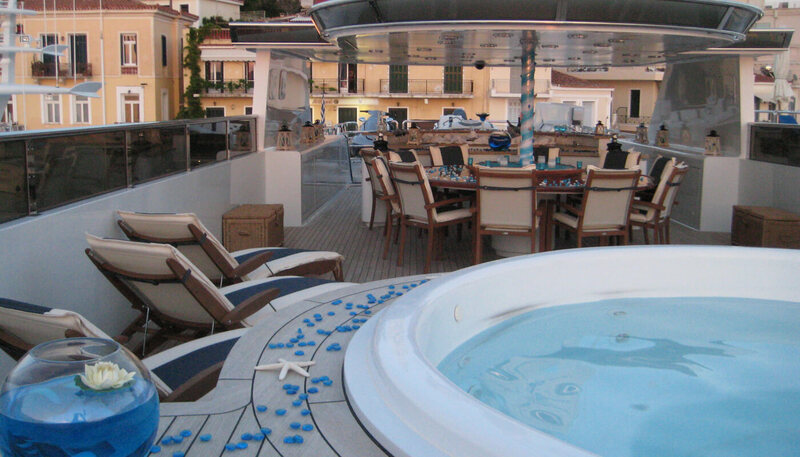 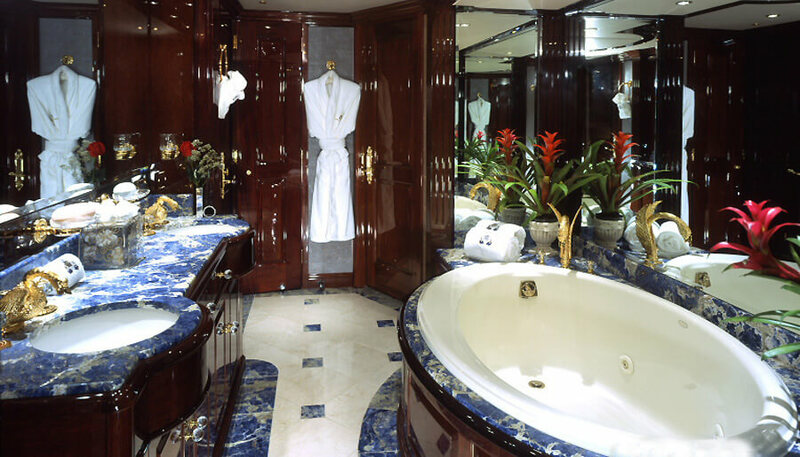 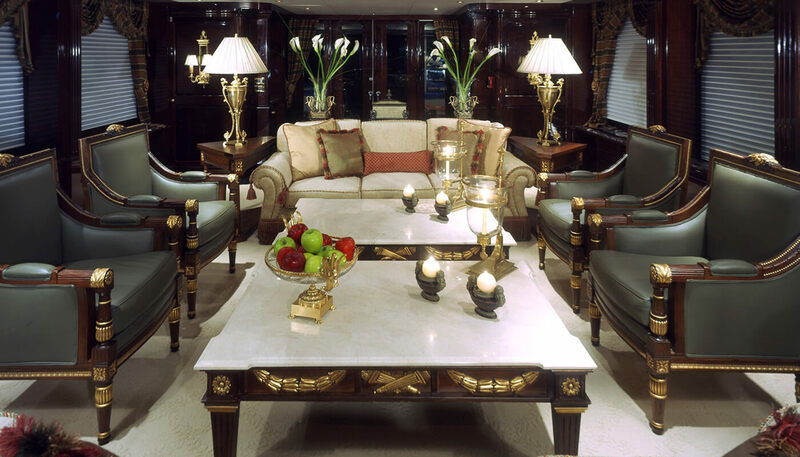 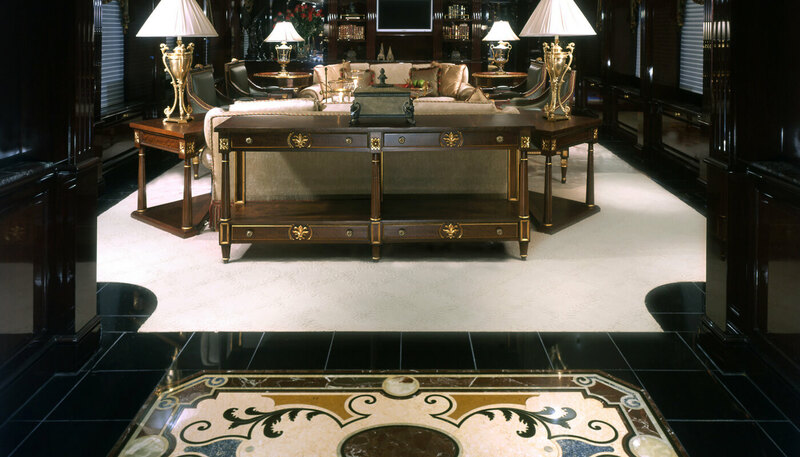 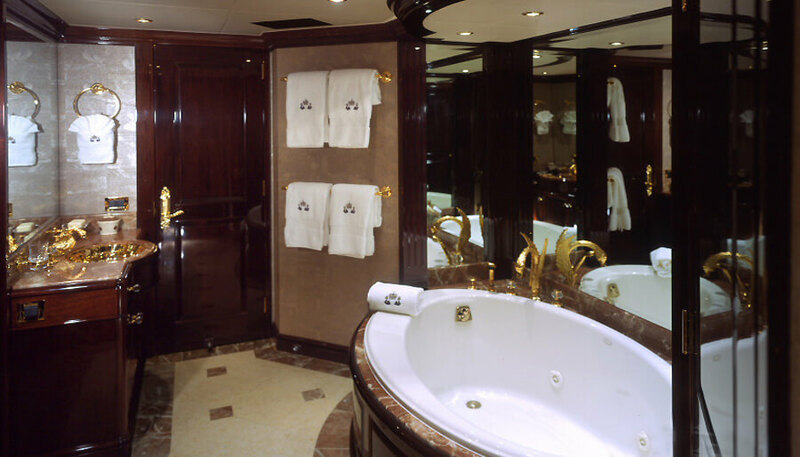 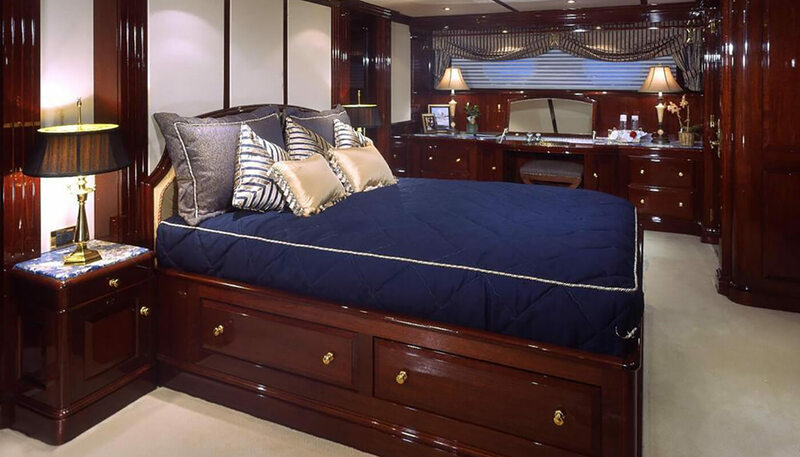 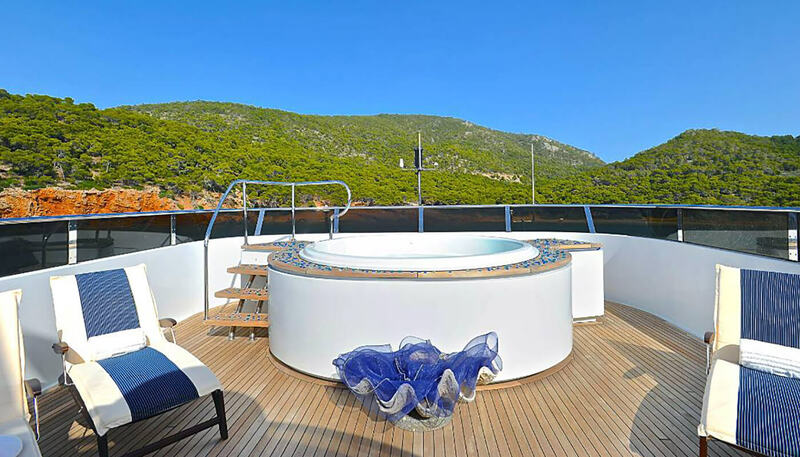 All cabins have ensuite marble bathrooms and state of the art entertainments systems. 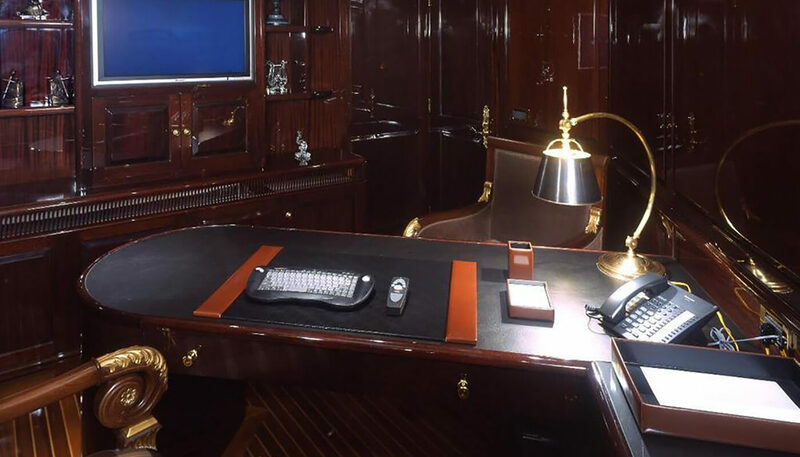 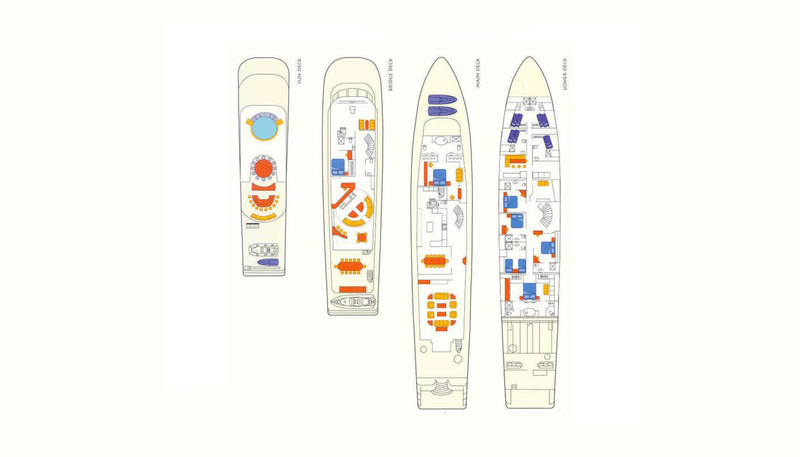 The on-deck master cabin's suite includes a private office and his and hers heads.